Happy humpday everyone! 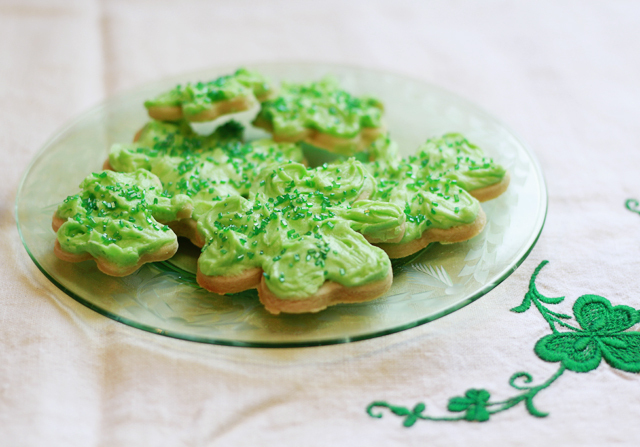 Today I wanted to share this shamrock cookie recipe with you since St. Patty's day is coming up this weekend. This recipe has been perfected by my aunt and is just delicious, you could seriously eat the cream cheese frosting alone. It can also be a fun cookie decorating project too! Enjoy! Heat oven to 350° In a large blow, beat the sugar, butter, vanilla and egg with an electric mixer on medium speed. Beat in the flour. On a floured surface, roll the dough flat and thin. Use cookie cutters to create cookie shapes and place on an ungreased cookie sheet. Bake for 10-14 minutes or until bottoms are golden brown, remove immediately and cool on wire rack. In a mixing bowl combine powdered sugar, salt, milk, vanilla, butter and cream cheese. Beat with an electric mixer until smooth and creamy. 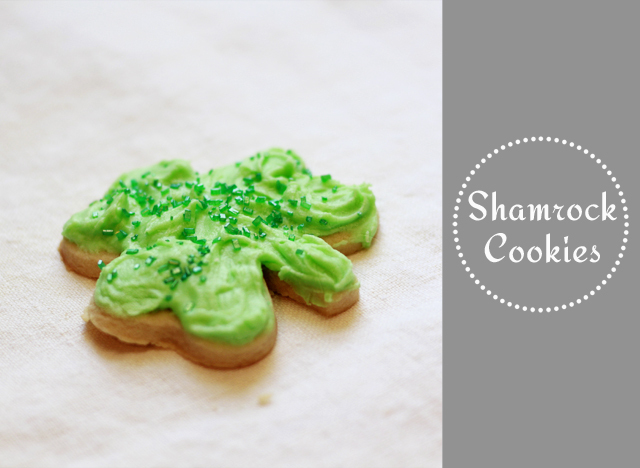 Use a palette knife or an icing bag and some sprinkles to make your shamrocks pretty! Great! Thanks for sharing, I was looking for a St.Patrick cookie recipe! Oooh. Yum, these look so good. Wish I had some right now!